A dynamic New Jersey firm If you have been the victim of discrimination at work or injured in an accident we can help. My name is Richard A. Dunne, Esq., and since 1982 I have been representing individuals in courthouses all across the state of New Jersey in connection with their claims of personal injury and employment discrimination. These challenges may seem stressful and perhaps even insurmountable at first, but with me by your side, you can rest assured that you will receive the justice you deserve. Upholding a standard of excellence Every client who comes to my office for assistance with their personal injury or employment law issues will receive high-quality representation with the help of my: -Acclaimed service - Throughout my years as a litigator, I have gained the respect of clients, judges and contemporaries - recognition that includes being AV Preeminent Peer Review Rated by Martindale-Hubbell, the highest rating available, for legal abilities and adherence to ethical standards. -Passionate representation - From the first day we meet, until the resolution of your case, I will aggressively fight for your rights. I am committed to protecting and preserving the rights of all people and nobody could be more devoted to your cause. Remember, I work for you, and no one will fight harder for your case than I will. -An extensive knowledge of the law - With more than 30 years of experience as an attorney,18 of which have been as a sole practitioner, I have the understanding of - and insight into - the legal system necessary to ensure that your day in court is fair and just. Representing victims across the state From my office in Mountainside, New Jersey, I handle the following types of cases: -Personal injury - If you have been injured because of someone else's negligence, my knowledge of the law governing compensation for personal injuries is second to none. -Employment discrimination - You will no longer have to tolerate or endure discrimination at work. For more than 15 years, I have been handling employment discrimination cases across the state, and I am more than ready to help you with yours. -Sexual harassment - I represent the victims of sexual harassment so that they can get the justice they deserve. You don't have to be a victim anymore. Eradicating Discrimination In The Workplace My name is Richard A. Dunne, Esq. and for more than 15 years I have been representing victims of employment discrimination throughout the State of New Jersey. Maintaining your job should be dependent upon your skills, ability and knowledge-not on arbitrary characteristics that do not affect your ability to perform your job successfully. Employers are prohibited by a statue know as the Law Against Discrimination from engaging in discriminatory practices relative to hiring, promotions, terminations, the awarding of certain assignments and pay. When making decisions, employers are not permitted to consider your: -Race -Gender -Age -Religion -Nationality -Disability; or -Whether you are or intend to get pregnant. By applying my expertise in the field to your matter I will work hard to eradicate the discriminatory behavior that exists in your workplace and level the playing field for you. 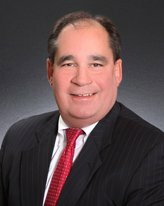 Attorney Richard A. Dunne was named one of New Jersey's "Top Legal Minds" by Inside Jersey and the Star-Ledger in 2012. Law School: Temple University, J.D.